We are thrilled to be welcoming Erin Clare on board with a special preview trunk show. This special launch collection will be available for two days only, so make sure you get in quickly! Started in 2002 by Erin Clare Oberem, the couture label hits all the right notes with today’s brides. An edgy design style paired with exquisite fabrics and soft details combines for an entirely original take on modern bridal wear. The Noosa-based design house began with a vision of creating unique dresses for real women. 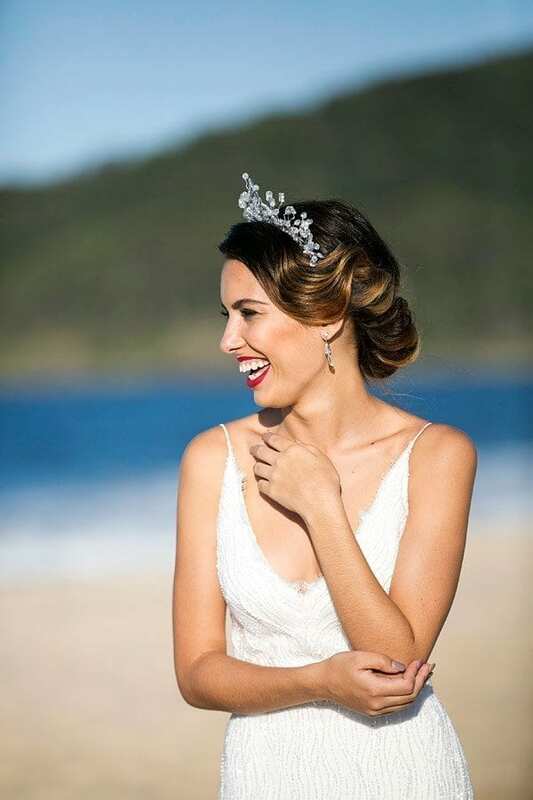 Ever since, the couturier has been helping dreams come true for Australian brides. The made-to-measure gowns are all carefully hand made by the dedicated Erin Clare team. Join us in store at White Lily Couture for this extra special trunk show showcasing the romantic aesthetics of Erin Clare! Purchase during the trunk show to receive 10% off plus a gorgeous cathedral veil from Erin Clare Couture. Book your appointment with us now to secure your spot for this limited showing.